There is an art to creating truly exceptional sushi, but you may not have thought about what it takes to make that sushi happen. In this article, we’ll discuss four practices that the best sushi chefs do to ensure you have the best sushi experience possible. The FDA has specific requirements about serving raw fish. Namely, it must be frozen for at least 15 hours before served (this kills any parasites). The fishermen at sourcing locations freeze the fresh fish right away until it is ready for distribution. Taking into account this required freezing period, the best sushi chefs will make sure they obtain the freshest sushi fish they can find. Each fish needs to pass a stringent set of criteria, usually twice—once by the fisherman and again by the chef. This ensures that the quality of the fish (both in terms of taste and safety) meets the highest standards. Of course, fish is only one component of a sushi roll. Freshness is an equally important consideration for other sushi roll ingredients, including vegetables (the cucumber should be crunchy, and the avocado should be ripe), sushi rice, rice vinegar, nori (pressed seaweed), and any other condiments (wasabi). A sushi chef will have high standards for all the ingredients that go into the sushi they’re making. There’s no way around it–if you want to become a sushi chef, you’ll need to complete extensive specialized training. While all food preparation necessitates some general best practices (cleanliness, ability to multitask, commitment to excellence), mastering the art of making the perfect sushi roll requires its own specific training and practices. Great sushi chefs will know which knives (usually made from iron rather than stainless steel) to use for various stages of sushi assembly, from gutting the fish to softly slicing the final, delicate slab. Different fish also require specific procedures, depending on their fat content and texture. With that in mind, a great sushi chef never wastes any part of the fish and has been trained to not have any food waste. 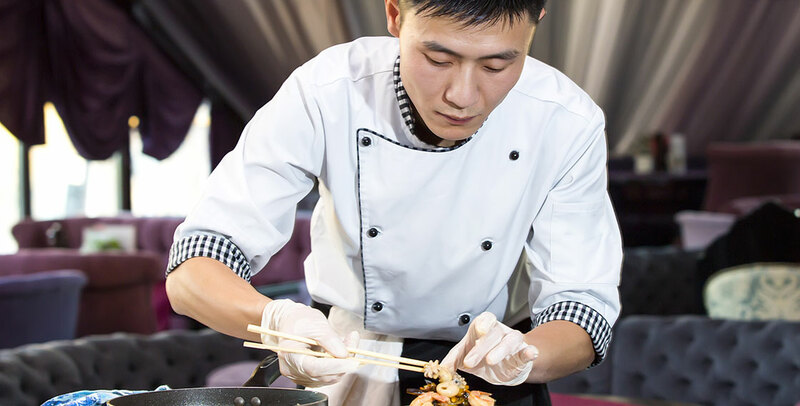 Sushi chefs have been trained to have all this attention to detail while still working at a fast pace that allows their customers the satisfaction of getting a good meal quickly. You might think fish is the star of the show when it comes to sushi, but most people don’t realize just how much attention and care is required to perfect the accompanying rice. Making sushi rice involves more than just adding water and vinegar. The best sushi chefs will take a number of other factors into consideration, including the season in which the rice crops were harvested. Newer crops require less water than older crops, due to the inherent moisture. Chefs are also careful not to over-mix the rice, as it can lead to an over-sticky product. Each grain of rice should be preserved so that the final roll is light and airy (not dense and mashed). The best sushi chefs know how what to look for and what practices to put into place to make the best rice. Making truly great sushi is an artform. Whether we realize it or not, we are drawn to sushi that is elegantly prepared. The best sushi chefs are masters at making rolls that are both appetizing and beautiful. They make this happen by having the best ingredients possible while letting their creativity add some flare.